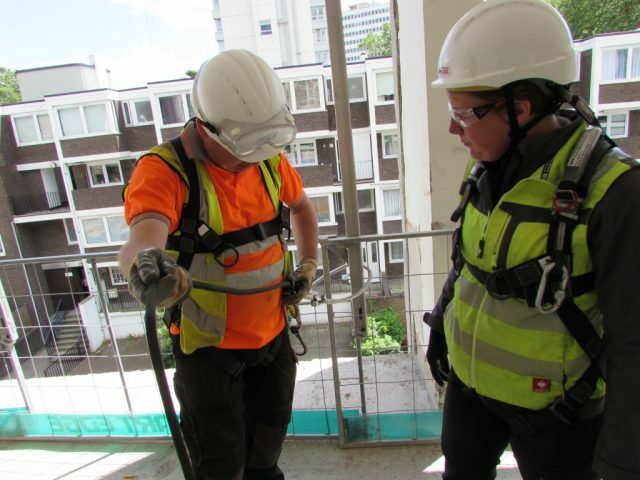 Learn basic safety principles, don a harness and gain competence operating your height safety equipment during a half day of theory and practical exercises — the most efficient package for teams who are required to work at height with limited exposure. 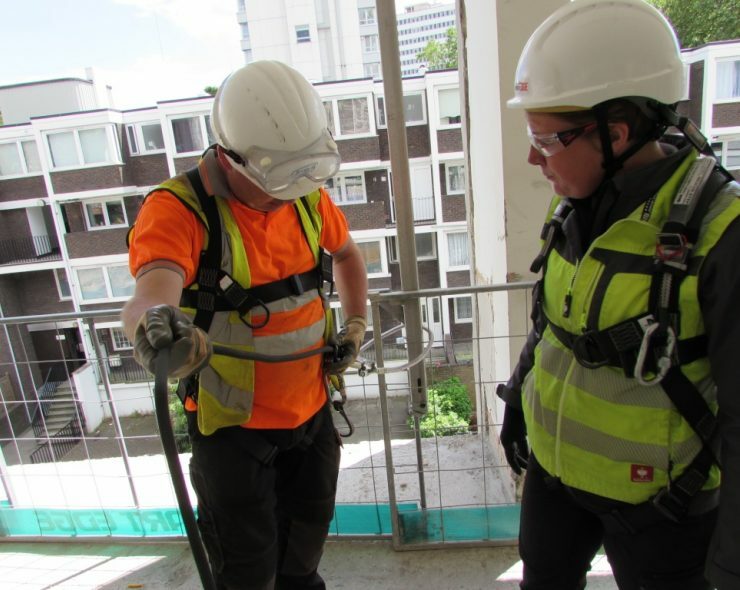 This courses is aimed at beginners to working at height. For example a volunteer or person that requires a skill update or refresher training. 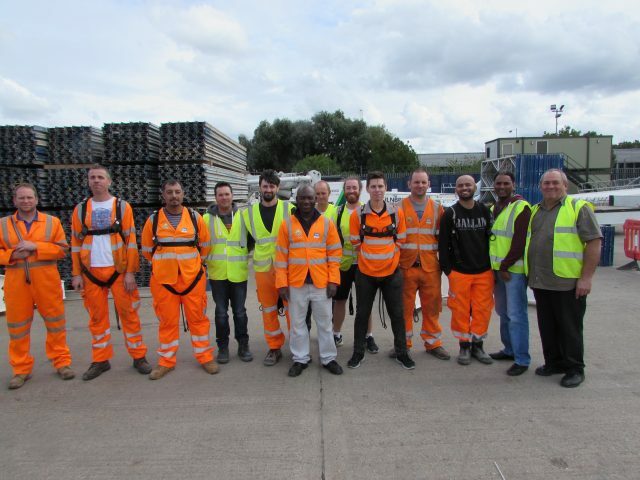 Every course is tailored to your unique working at height requirements. Learn about different types of full body harnesses and discover what they are for, how they are used and the effect falling in one has on the body. Each of you will be given a harness to don under the guidance and assessment of the instructors. 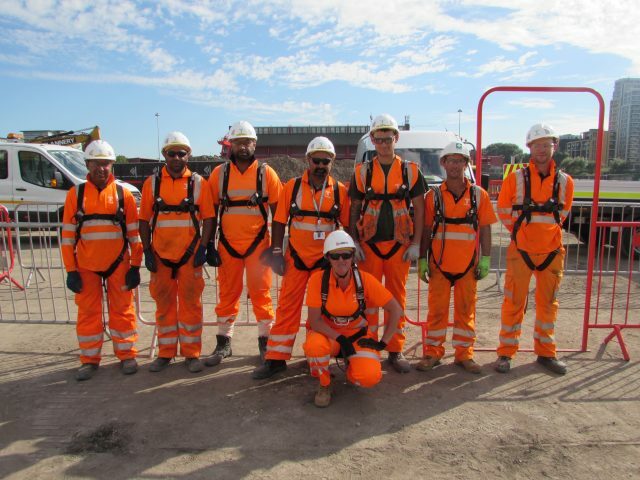 Your whole team will feel confident inspecting, wearing and adjusting harnesses safely for work at height. A series of group practical exercises test your new height safety skills in a live scenario where you’ll set up anchorage and practice using fall-arrest, restraint and lifeline systems in a variety of configurations required for your job. We provide our own projector, screen, laptop, props and a bag full of equipment to deliver lessons. We just need somewhere to teach. So if you're booking a course on your site, remember to arrange a training room and practice location that can hold the appropriate number of people. By completing this course you will be awarded with an industry recognised Leading Edge license card and certificate. The card is valid for 3 years and requires renewal after the expiry date stated at the time of issue. Foundations lays the groundwork for your training. 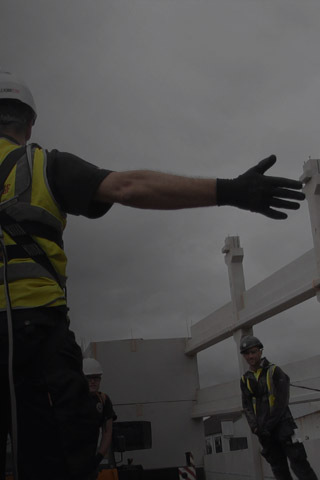 We’ll discuss course objectives and prime you with essential background knowledge on the subject of height safety, covering the basics of why we need it, the devastating effects falls have on individuals, families and businesses and your general legal responsibilities and duties. By exploring historical references, statistics and legislation we’ll paint — in real terms — a picture of where we are today, how far we’ve come and how far we still have to go to make the work place a safe place. Throw it over your shoulders, clip it together, fasten the leg straps and you’re good to go, right? Be under no illusions, a damaged or incorrectly worn harness can lead to death, or if you’re truly unlucky, extreme testicular trauma and rectal damage! To prevent such a nauseating fate we’ll take you back to basics, familiarise you with different types of height safety harnesses and their various purposes, teach you how to perform pre-use inspections and then get down to the nuts and bolts of how to don and adjust it. 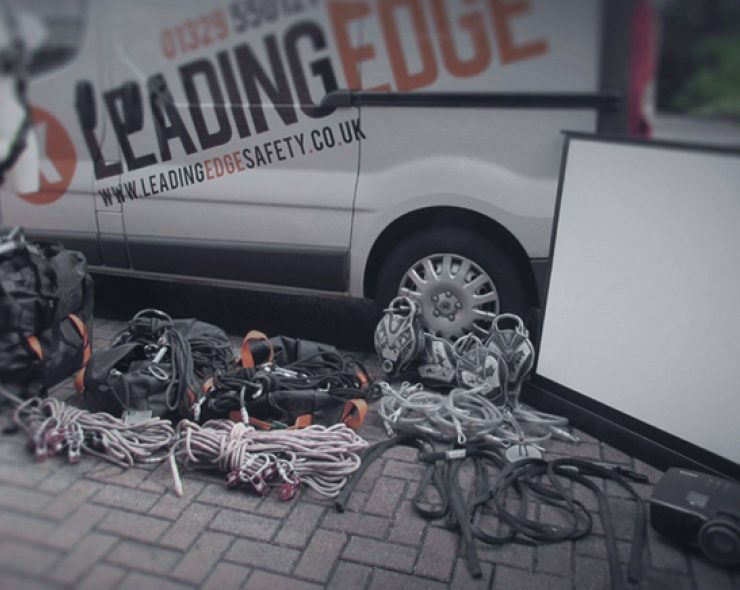 At the end of the module each of you will be provided with your own harness to practise wearing, which will be then be assessed by the instructor to make sure the whole team is competent and con dent before moving on. Once you have an understanding of what arrest and restraint methods are we take a deeper a look at intermediate devices, which work together between your anchor point and harness to form a height safety system. These include inertia reels, lanyards, lifelines, connectors and anchorage. We walk you through each device, demonstrating how they function, how you use them, what their limitations and performance capabilities are and the practices and work methods that enable you to use them correctly in applications. Anchorage is the first and arguably the most important link in the height safety chain. The challenge is knowing what constitutes a safe anchorage point and how to select the right anchorage device to connect with out of a myriad of different options and confgurations. To help you understand we’ll start by exploring permanent anchor points comprising of fixed structures in your environment and move on to temporary solutions. Finally we’ll talk in-depth about available anchorage devices and analyse their specic uses, configurations, ratings and certifcations, giving you the theoretical knowledge to identify and set up suitable anchorage for your height safety system. An independently marked multi-choice paper to test your knowledge. A quick practical recap of correct harness use. Anchorage forms the foundation of your height access system and any mistakes made here makes all subsequent efforts worthless. In phase 2 You'll learn which anchorage devices to use and in which configurations to place based on your work area and the leading edge. Fall arrest sytems increase mobility but the trade-off is they allow you to fall. If that happens the blocks lock like a car seat belt and (hence the title) arrest your fall. Because falling is permitted caution is required, so we show you strict rules and practises that enable you to use them safely for work at height. Higher up in the height safety hierarchy are Restraint Systems. These systems offer the same level of access as Fall Arrest Blocks but are considered a safer and more desirable method of work since the use of ropes physically 'restrains' your proximity to an edge. Restraint Systems are extremely versatile, allowing for both front and rear connection in several configurations across horizontal, vertical and pitched planes. Some or all of which you'll discover and practice depending on your course. Lifelines prevent pendulum and provide greater levels of access when working over large areas as the added use of a pulley allows you to safely traverse the edge along which the lifeline is set. You’ll learn how to deploy, position and tension a lifeline, operate it using front and rear attachment across horizontal and pitched planes, and explore more advanced techniques such as lifeline bending for multiple edge access and intermediate attachments to support multiple simultaneous users. 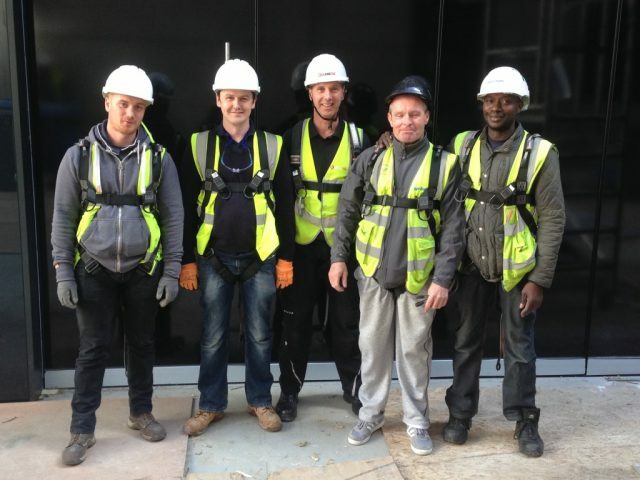 Lanyards are the most extensively used piece of equipment in the height safety arsenal. It’s no surprise given their versatility for preventing operatives from entering a fall hazard up to a 2m edge distance. You can discover up to 5 different kinds of lanyard to achieve a range of access from simple fixed locations to climbing and the traversal of complex structures. This is your chance to reaffirm lessons learnt during theory modules and practice connecting to harnesses and anchorage while gaining the invaluable ability to select the right lanyards for your applications. We’ll continuously verify your competency along the way! Practical exercises require three anchor points (columns, railings, fencing, metal structures, rebar or anything capable of supporting 300kg) placed at right angles and spaced between 5 and 20 meters. Don't fret if site access is unavailable. We strive to be as accomodating as possible and can conduct practical lessons in car parks, fields and classrooms when necessary. Call now on 01329-550-121 or send us a course request below — we'll get back to you ASAP. A new person is requesting a training course. Shoot them an email!